So you've found a beautiful wooden pallet (and checked that this pallet is safe to use for your project), and you're ready to start your pallet project? The first step is to dismantle your pallet, do not miss our article "How To Dismantle A Wooden Pallet?" to learn several ways of doing it. If you want to give a perfect finishing touch to your project, you'll have to pass through the staining process of your pallet wood and learn how to stain pallet wood. 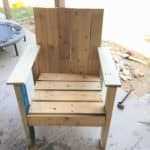 Staining and finishing your pallet wood the right way can do wonders for your pallet repurposed project, here are some pallet wood staining tips that you’ll find useful if you are a beginner. You could also try to know what wood your pallet is made of with this article. But, what if you know all of that and you are ready to add some color and life to your piece? We're here to help! Learn how to stain your pallet wood: tips for beginners here! These fast-drying water-based stains do not penetrate more in-depth than the first layer of wood cells. They are perfect for use on wood trims, frames, and logs, and spindles, railings, and wood-sided homes. Oil-based stains, alkyd dispersion stains, and water-oil emulsions penetrate up to four layers deep and offer excellent water-repellent properties. Quality brands will provide superior longevity and will wear evenly if applied correctly. These water-based stains give all the benefits of oil-based shallow penetrating stains but are easy clean-up and with no toxic chemicals or smells. Comes in 24 fantastic colors and they are available at PureColor Inc. These are oil-based and penetrate about ½" deep into the wood. These stains don’t tend to flake like the others as there is no surface film created during or after application. However, they do leave behind an oily residue. 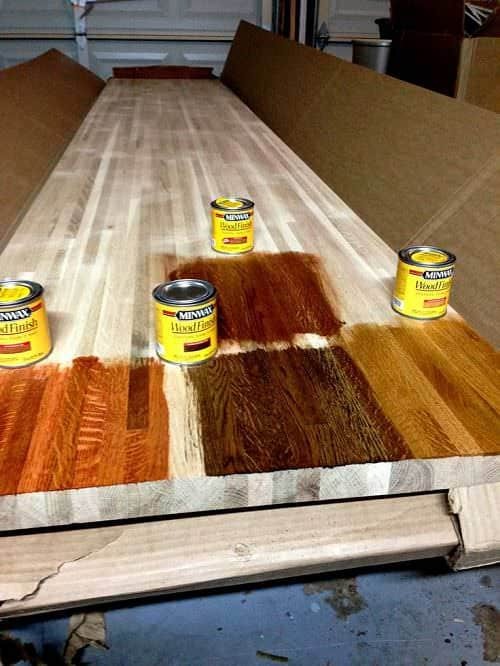 Choosing the right stain for your pallet project is essential if you want the finished project to make the "wow" effect. 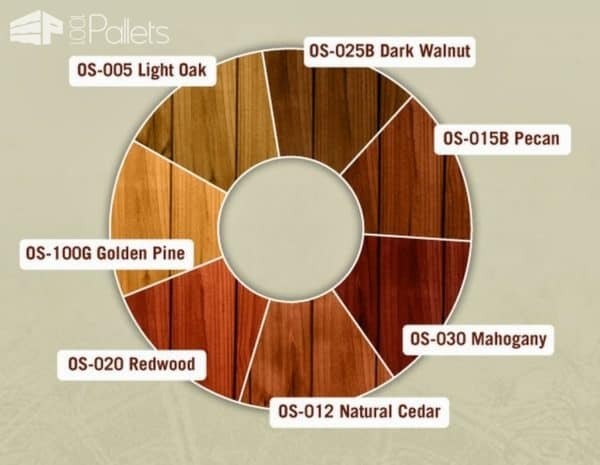 Selecting stains are not just about picking a color you like from the color chart - a light brown stain might look pinkish if you use it on redwood! So be sure to test the stain on a sample pallet or inconspicuous area before applying it all over your project. You’ll also have to ensure that the stain you choose is compatible with the wood and other finishing products. A stain that is compatible with wood preservatives, sealants, and top finish will allow greater bonding and keep the finished project intact for years to come. For that effect, the "Amy Howard at Home Liming Wax" is usually beautiful for the pallets with a pronounced grain. Otherwise, the one-step paint is something we recommend! Preparing the pallet wood before staining it will ensure proper application and a long-lasting stain. Keep these pointers in mind while preparing the pallet wood for staining. If you’re planning to stain your pallet with a dark brown color to create contrast with your all-white closet, you’ll need to sand them first. Remember to sand with the grain to not scratch the surface. Use a tack cloth to remove dust as you sand the pallet wood. If the dust settles in the pores, it can lead to your stain looking uneven and blotchy. Apply a wood conditioner to help the wood absorb stain evenly. Make sure that the wood is completely dry before you begin staining it. Applying stain on humid pallet wood will cause it to flake off. Also, avoid staining on wet days. Use a light coat first so that you don’t end up staining heavily. If the stain is too light, you can always go for a second coat. The stain that has been sedentary for too long can become thick and lead to uneven application. Keep a compatible thinner handy to reduce viscosity and ensure a smooth application. Wood stains can give your project a vibrant, deep color and also highlight the grain of the wood. But stains can’t provide long-term protection to your pallet project! Once you achieve the desired stain, apply a clear top coat to protect the wood from water damage, scratches, and stains.  There are several finishing options to choose from and depending on what you wish; you can get varied results. Polyurethane is most commonly used as a top coat owing to its durability. 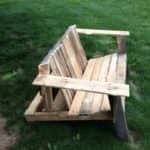 Pallet wood has long been used for repurposed projects and is a favorite with DIYers around the world. 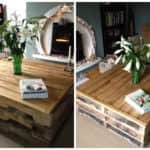 Working with pallet wood indeed requires some special skills, so if you’re a first-timer, learning the basics before you begin will certainly be helpful. There’s a lot to this art that includes cutting, sanding, polishing, and more. While staining and finishing projects seem like an easy job, you now know that there are several things to consider before you buy a stain and get on with staining wood. With the tips given here, you will undoubtedly be able to go about staining your pallet project the right way. So plan well and get on with the staining and if you want more tips, you can read our article "17 Things You Need To Know Before Painting A Wooden Pallet". I am going to sound like a big dummy. My kids moved back in and I am going to redo my basement but I have little money. The walls are drywall with some water damage and some Subway tile. . I put up paneling but apparently it has warped. ( I don’t know but that’s what I was told) we are going to tear it off and use pallet wood. Is there a good way to make them waterproof so they don’t warp. Thanks guys. I like the idea to use deep penetrating stains on wood pallets since it doesn’t flake. My wife and I have been wanting to find a way to add some color and style to our home. I definitely think that we should consider getting some wooden pallets and creating our own unique furniture. what are good color combinations? I know to each their own, but throw out a few 3-color combinations please. Wax is Use at Packing Pallet For Pharma Export Industries? Finishing staining process on a wood pallet with a top coat does seem like a good thing to do. That seems like it would help the stain last longer and keep the wood in good shape. 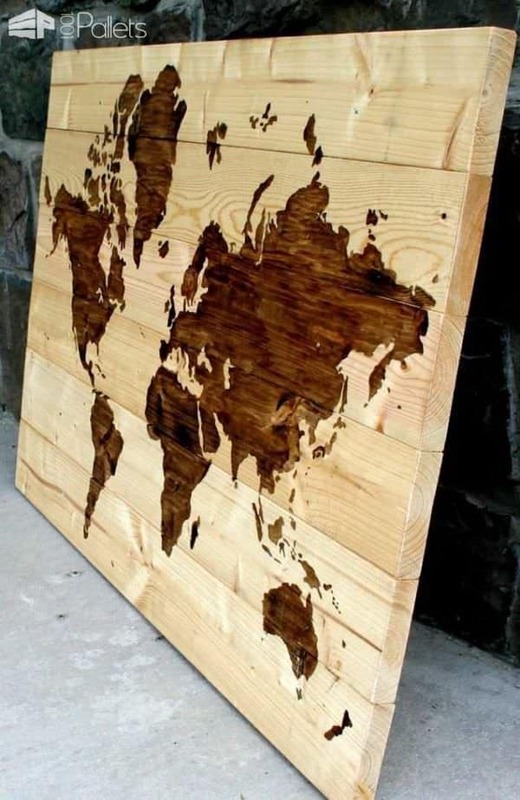 Which is kind of want you want when you put a stain on wood. This gives me an idea. Can pallet wood be cut into floor tiles or is the wood too soft for that ?? I’m not complaining. But there are so many people that will see some of the pictures and think that this is pallet lumber! I’ve been building cabinets and furniture all of my life. I’ve been building stuff from pallets for over 30 years . I have people contacting me all of the time when they see posts like this one thinking I can make a piece of furniture like a picture they found on the Internet. Just a little misleading for someone with little or no knowledge of woodwork! Thanks for the information. 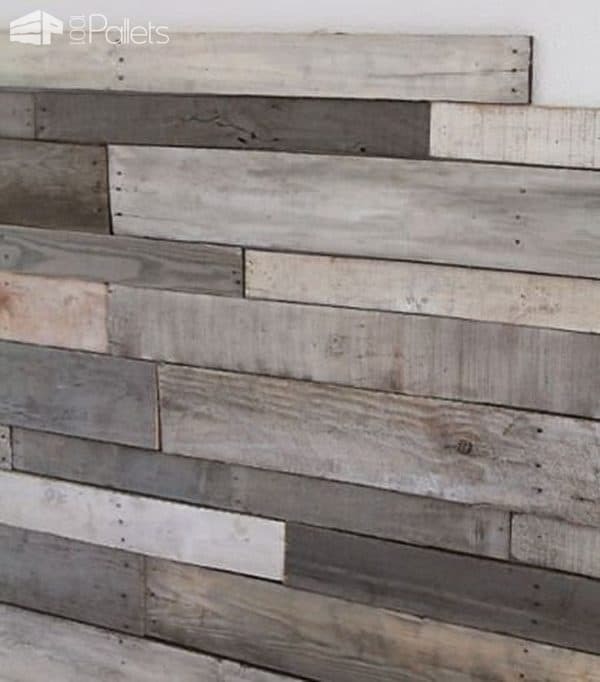 I see many pallet projects that a have a lot of different tones in the wood and its really a look that I like. Is that achieved from the variation in the pallet wood that is stained the same color or is each piece stained a different color? Anyone have experience with making these multi-toned projects? I would love to know what the Minwax stain on the right at the top of the page.